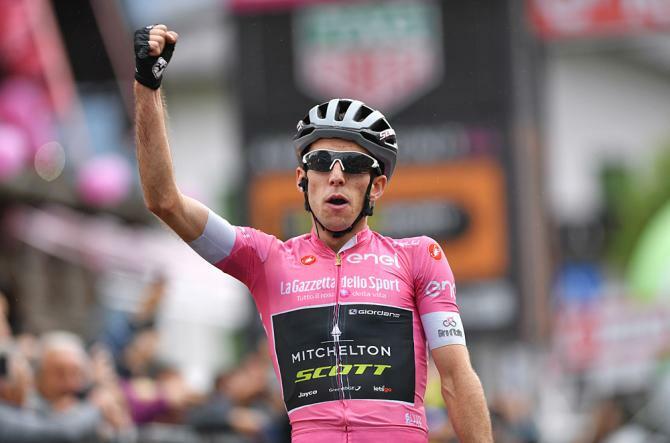 Simon Yates, fresh from his victory in the Vuelta, will carry the baton for Britain at the World Championships at Innsbruck next week on an Alpine course that suits him better than Chris Froome or Geraint Thomas. Ten world champion rainbow jerseys are up for grabs at the eight-day event staged on Alpine roads in the Tyrol region around the picturesque Austrian resort town with races at junior, under-23 and elite level for both men and women in road races and time-trials. Three-time defending world champion Peter Sagan will go for a fourth road race title in the six-hour 258-kilometre blue-riband race, but the brutal final climb with sections at 28 percent gradient would appear to be a potential obstacle to the Slovak’s chances. In the absence of Giro d’Italia winner Froome and his Sky teammate, Tour de France champion Thomas, Yates should be the man to beat next Sunday after displaying brilliant climbing skills and cut-throat racing savvy when winning the Vuelta this month to complete a British sweep of the Grand Tours this year. Just two Britons have won a world title — Tom Simpson was Britain’s first road race champion in 1965 with Mark Cavendish clinching the crown in 2011 in Copenhagen. British team performance director Stephen Park explained Froome and Thomas were too tired to make a real challenge on the steep roads. The men’s event ends with a short but sharp 3.2km climb with an average gradient of 11.5 percent and a maximum gradient of 28 percent. From the top of the climb the riders speed down a fast and technical descent to the finish line in the centre of the city. 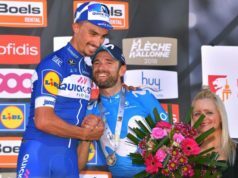 Alejandro Valverde and Julien Alaphilippe should provide the major threat in a season where differences in levels and form between riders have been minimal. Dan Martin, Vincenzo Nibali and French climbers Romain Bardet and Thibaut Pinot are all serious contenders on the pristine Tyrolian routes. “I’m feeling fresh and energized,” Bardet said this week. 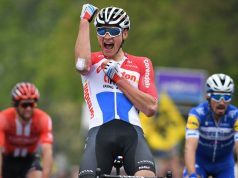 “The timing feels right, Julian Alaphilippe is maybe the top rider, but anything can happen at the World Championships, we’ll see on the day,” said Bardet, who also said he felt the final climb was perfect for Yates and his twin brother Adam. 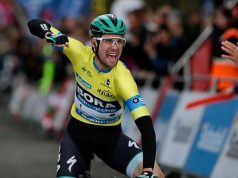 Tom Dumoulin beat Primo Roglic and Froome in the time-trial at Bergen last season and will again be favourite in the individual event and with Sunweb in the team event. Sunweb will also defend the women’s team time-trial title that gets the championships rolling on Sunday with a fearsome line-up which includes European champion Ellen Van Dijk, Canada’s time-trial champion Leah Kirchman and the American road champion Coryn Rivera. But 2018 also marks the end of the so-called ‘trade teams’ in the world championships time-trial. BMC field a powerful line-up with Rohan Dennis, Stefan Kung, Greg Van Avermaet, and Tejay van Garderen after ending runners-up the last two years they have vowed to bow out with a win in remembrance of their recently deceased owner Andy Rihs. 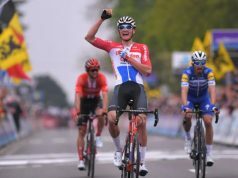 “The difficult part is how to pace into the climb and still do a good climb to have enough riders together for the final kilometres,” BMC said on its website.